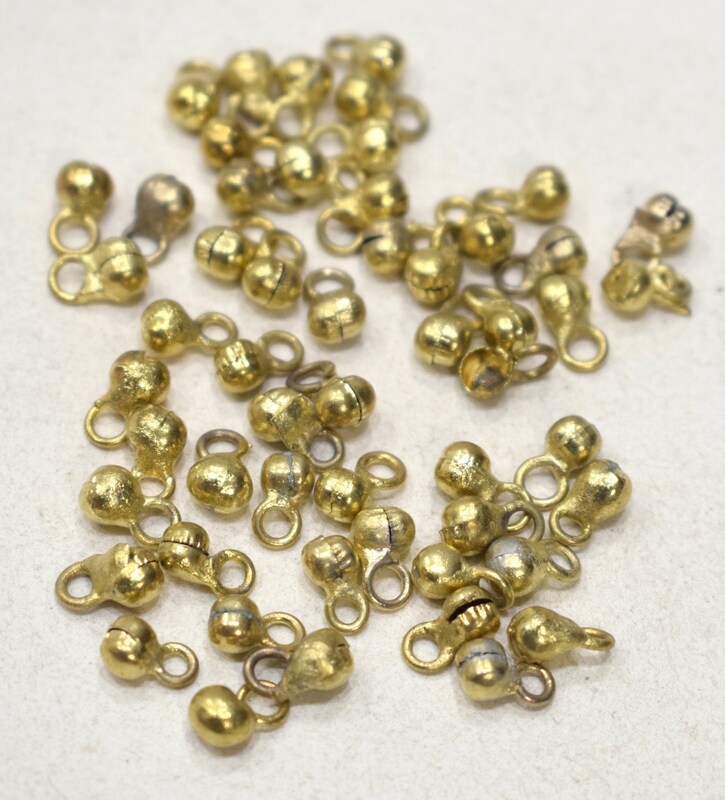 These are Wonderful India Vintage Brass Bells Beads that comes packaged in a quantity of 50 in a bag and would be great in all your creative jewelry designs. although not as shiny as pictured, these tiny bells are perfect!. Exactly what I needed. Shipment arrived quickly. I would definitely buy from this vendor again. Very professional. It should be noted in the item description that they are ornamental only and not for musical use in any way. Fast shipping and excellent service!